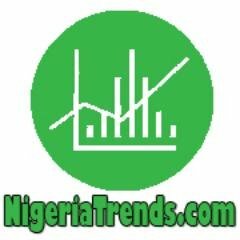 NigeriaTrends.com — A South African woman have been convicted of money laundering and cash smuggling by a Federal High Court in Lagos. A total of $374,355 she was caught smuggling is to be forfeited to the Nigerian government. According to information gathered from Premium Times, Justice C.M.A Olatoregun of the Federal High Court, Lagos, on Friday convicted Ngqula Nosisi Pam, a South African for money laundering and bulk cash smuggling. The convict was arraigned by the Economic and Financial Crimes Commission (EFCC) on February 1 after her arrest by NDLEA at the Murtala Muhammed International Airport in April of 2015. The convict had earlier pleaded ‘not guilty’ but changed her plea to ‘guilty’ and was consequently convicted by the court. Justice Olatoregun ordered that the convict forfeit the entire sum of $374,355.00 to the Federal Government of Nigeria. The judge also ordered the EFCC to remit the money to the Federal Government Account within 29 days and file notice of remittance at the court. The judge admonished the convict to shun illegality in the future, a statement by the spokesperson for the EFCC, Wilson Uwujaren, said. The one count charge reads: “That you Ngqula Nosisi Pam on or about the 24th of March, 2015 at Murtala Muhammed International Airport within the jurisdiction of the Federal High Court had in possession cash in the sum of Three Hundred and Seventy Four Thousand, Three Hundred and Fifty Five United States of America Dollars ($374,355.00) which you transported from the Republic of South Africa to Lagos; and failed to declare the sum of Three Hundred and Fifty Five United States of America Dollars ($374,355.00) to the officers and men of the Nigeria Customs Service as required under the provisions of section 2 (3) of the Money Laundering (Prohibition) Act, 2011 (as amended by Act No. 1 of 2012 and thereby committed an offence punishable under section 2 (5) of the Money Laundering (Prohibition) Act, 2011 (as amended by Act No. 1 of 2012”. The South African woman (39 yrs old), was arrested on April 9, 2015 by the National Drug Law Enforcement Agency (NDLEA) for smuggling foreign currencies worth over ₦700 million naira to Nigeria. She was arrested at the Murtala Muhammed International Airport, Lagos with $373,725 and €2,120 concealed inside packs of oats. “Five packs of oats were found to contain $374,355 and €2,120. The discovery was made during an inward screening of passengers on a South African airline flight en route from Johannesburg. In her defense, Nqgula said she was sent by a Nigerian to deliver the money to one Akamelu. Accoding to her, “I live in Johannesburg. I was given a bag by a Nigerian to deliver to Damian Akamelu,”.